While watching TV the other night, I found myself a little confused watching those funky stop-motion commercials for Sun Rype. You see, I always thought the song in the background was ‘Sleepy Tigers‘ by Her Space Holiday. Chances are you’ve seen it. Well, the one I saw the other night had a new song in it. 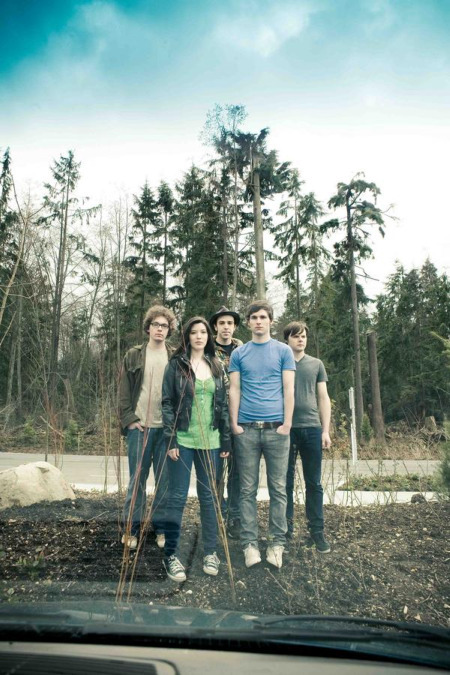 Sounding very similar to the original is ‘The Light Is You’ by Vancouver’s Said The Whale. I don’t know exactly why they would have basically made the same commercial twice, but I’ve found that sometimes Ad companies find out (from test groups) that people are too sick of catchy songs in commercials, from being overplayed/overheard. This is just speculation, but perhaps they needed a song that was new enough for the audience? Either way, this commercial put the music of Said The Whale on my radar. They are currently getting ready to release a full length record called Island Disappear on October 13th (Hidden Pony/EMI). Produced by Howard Redekopp (Tegan and Sara, Mother Mother, The New Pornographers) and Tom Dobrzanski (Hey Ocean, Lotus Child), ‘Islands Disappear takes from experiences of driving across Canada set to songs that are sometimes danceable, sometimes folk, and all times intelligent’. That’s tonight and probably the hotest ticket in town here in Toronto. Into Your Lungs – Hey Rosetta!